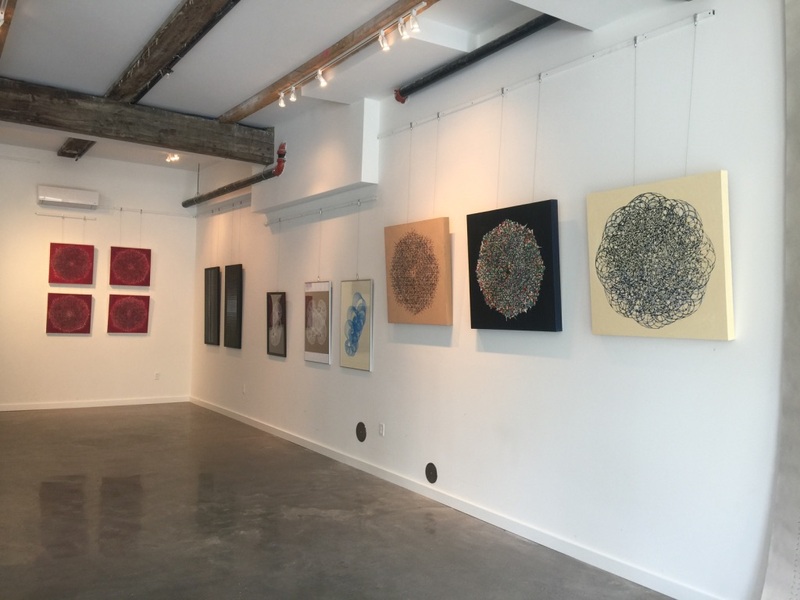 A survey of my Mathematically inspired paintings, drawings, videos and artist’s books is currently on view at the Roundhouse Gallery in Beacon, NY. 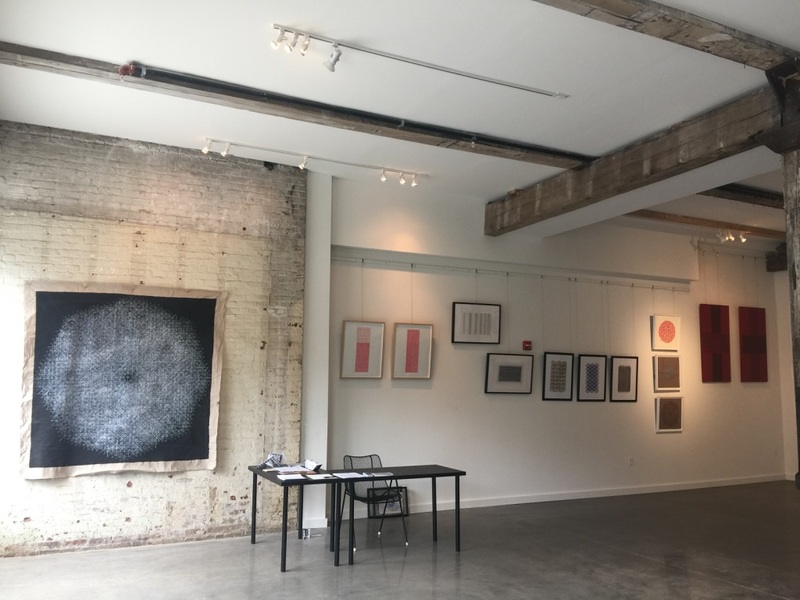 Situated in a restored 19th century factory building, the gallery space provides ample room for a wide range of work I have completed over the past twenty years. Included in the exhibit are my counted marking drawings. I started making these early in my career and I am still creating them with more complex algorithms. There is also a range of work based the Chaos Theory. 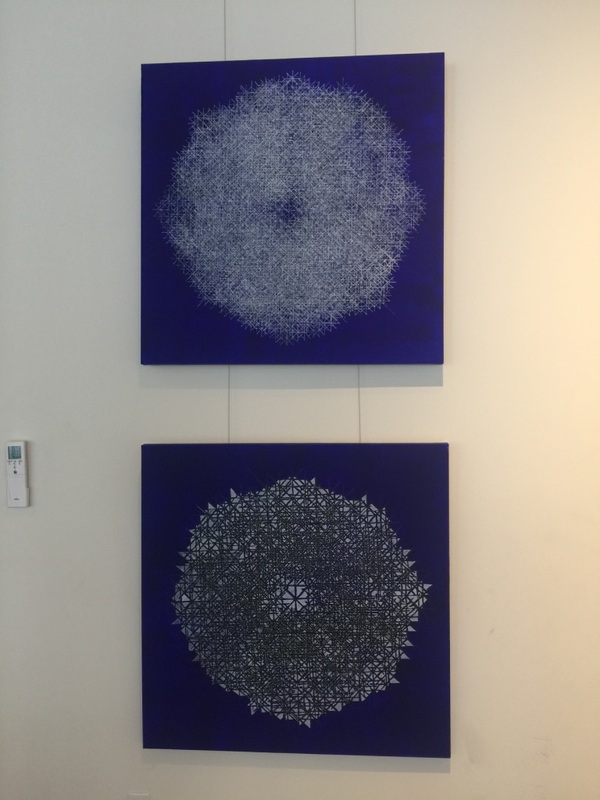 A wew of my pieces from my recent “Cartesian Lace” series are also on display. 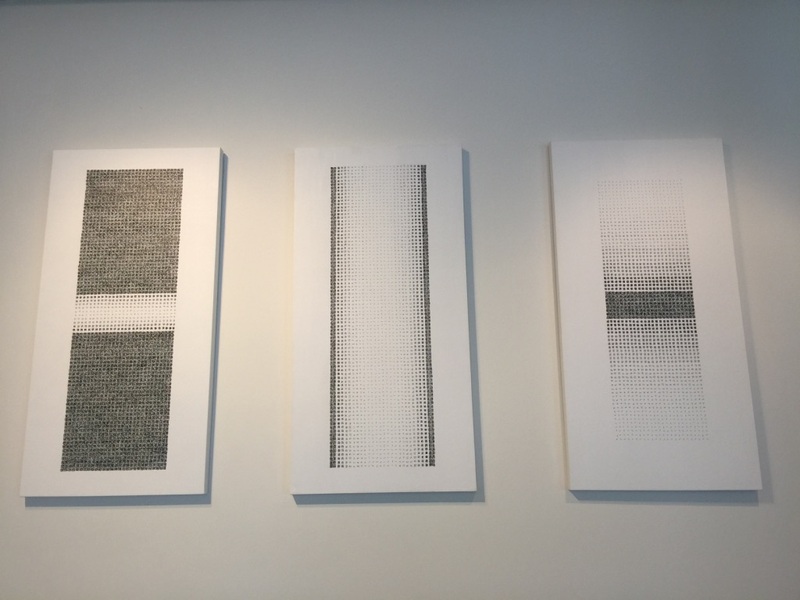 This wonderful opportunity has offered me a chance for the first time, to present an exploration of all of the various types of my Mathematical art all in one room. The opening last weekend was wonderful. On May 21, Dikko Faust and Ester K. Smith of Purgatory pie Press will be at the gallery for a meet and greet. Over the past years I have collaborated with them on a number of limited edition letterpress projects, that are also on display. Meet Esther and Dikko from 2PM to 6PM. Dikko Faust is the printer and co-owner of Purgatory Pie Press, a letter press publishing company in Tribeca, Manhattan that he runs together with Esther K. Smith. Faust also teaches a course on Non-Western Art History at the City University of NY. 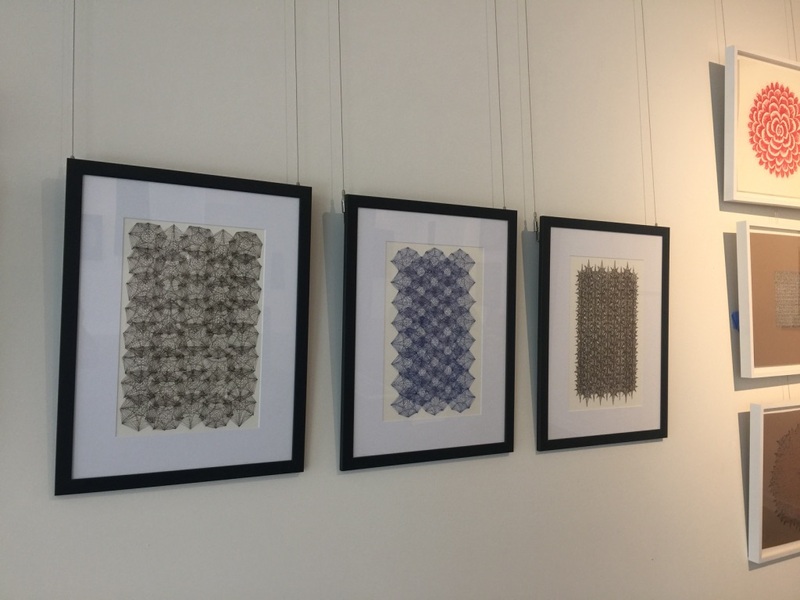 It was his experience in looking at Non-Western patterning that has lead to his recent series of prints called Tesselations. The prints are made by hand setting bits of lead to create the pattern, using only red and black ink. 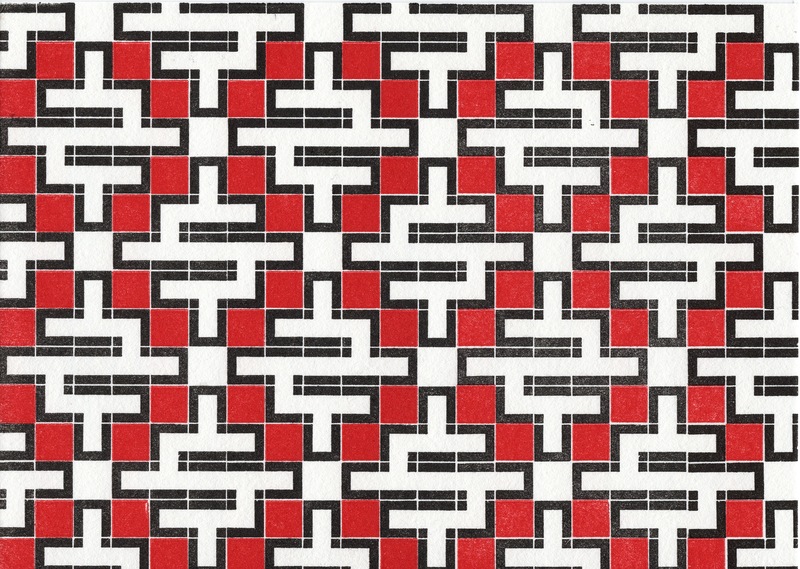 Each patterned print has its own set of distinct symmetries. Today, I will discuss two prints from the series. I see this print as a fragment of a wallpaper symmetry, because the repetition in the pattern is based on the symmetries between the shapes. The white figures with the black outlines that resemble a $ or an S and the 8 red squares around them have order 2 rotational symmetry. If you rotate the figure 180 degrees, you have the same figure again. Each of the $ or s shapes has glide reflection symmetry with the upside down $ or S in the rows above and beneath it. In a glide reflection symmetry we see the mirror image of the original shape, but then it is glided or moved along the plane (in this case, along the paper). This print is a great example of reflection symmetry. It has two lines of symmetry: one horizontal though the center, and one vertical through the center. 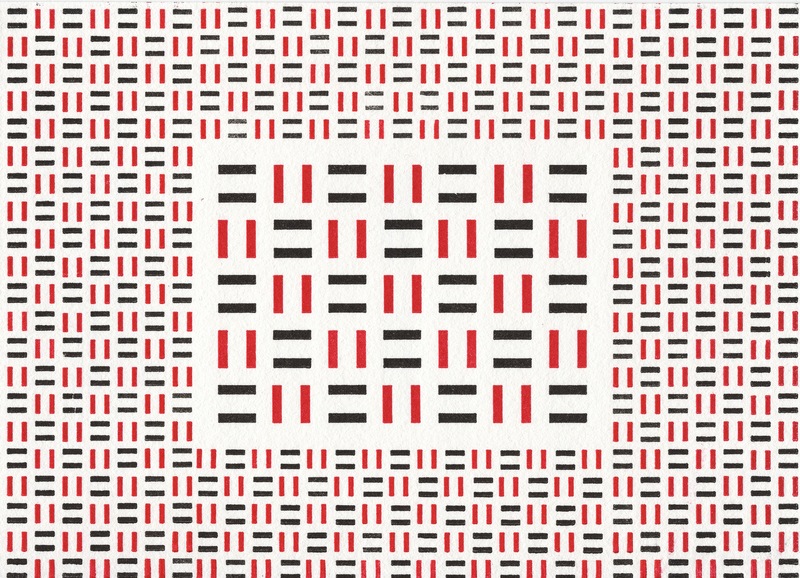 Another interesting mathematical feature of this print is the similarity between the larger sets of black or red bars and the smaller sets. Two figures are similar if they have the same shape and are only different in size. Both the large set of bars and the small set of bars form two sides of a square: all squares are similar. The inner rectangle of larger bars measure 5 sets by 7 sets. It requires a rectangle of 11 sets by 15 sets of the smaller squares of bars to frame the large rectangle. There is a border with the width of one small square, so after subtracting 1 set from each dimension, we have the inner rectangle of 5 by 7 surrounded by a 10 by 14 rectangle of smaller sets of bars. The ratio of the dimensions of the larger to the smaller is 2:1. Faust has made a whole series of these striking Tesselation prints. 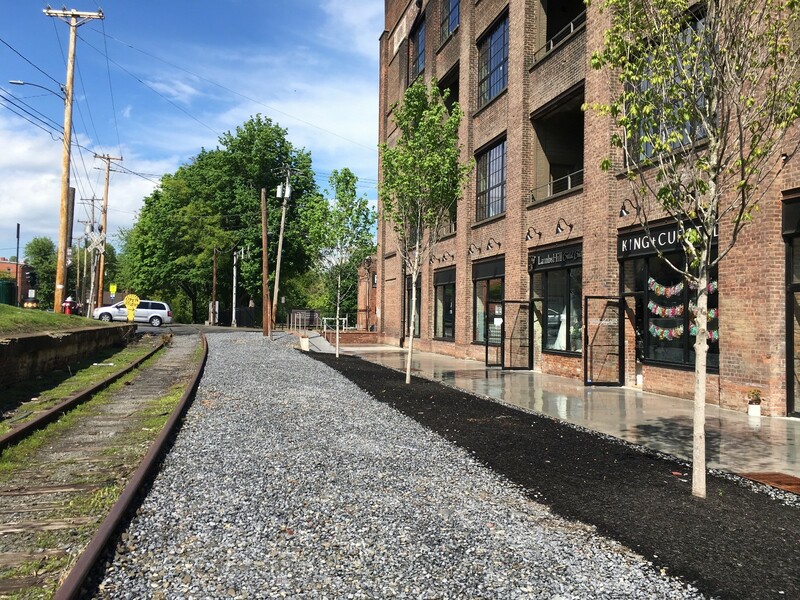 He has been inspired by what he has encountered teaching art history, and what he sees all around him looking at art, and in the case of Tesselation 6, the streets of New York City. The mathematics in these prints go beyond the patterns themselves and connect the viewer with distant times and cultures, and links us all in a visual aesthetic.